One cable goes to the oil injection unit. If you remove the entire oil injection, and plug the hole in the intake, You would have to mix the gas on your own. It would also eliminate the leak that you have. The other cable goes down the front, and then wraps around to a lever between the muffler, and the driven clutch. That is your governor. Removing that cable takes you from 12mph to 18 mph. The proper oil mixture is 128:1 (1 ounce of oil per gallon of gas). There is also no reason for that spring to be on the choke cable. Thank you very much for all the help and info. I’ll change the carb out today and remove at least the governor cable for now. I would like to keep oil injection system but if it still leaks I’ll just remove it. As for the oil that has leaked through the bottom of my engine already...do I need to worry about cleaning it out some way or will it just burn away what’s left with no harm to my engine? I would have two concerns about that oil leak. The first is how much liquid is in there that it's running out? The fuel air mixture is a mist that flows through the side port in the piston, goes underneath the piston into the crankcase, lubricates the bearings, and then travels to the top side of the piston to be burned. You don't want a lot of liquid in the bottom of the engine. The more important, and larger concern is, where exactly is the leak coming from? That entire engine needs to be air tight. That means absolutely no leaks. If it's leaking from the case seam, the halves need to be separated, and sealed. If it's leaking from the crankshaft seals, they need to be replaced. If it's leaking at the exhaust flange, that needs a new gasket. If it's leaking from where the cylinder bolts to the crankcase, you need a new cylinder gasket. You really need to figure out exactly where the leak is coming from. That’s why I was concerned, it seems like there could be a good amount of liquid in there. When I drove it last as I was pulling out of the driveway it was leaking a steady stream onto the cement. I’m having a hard time telling exactly where the leak is coming from. It is on the very bottom side of the motor right next to the exhaust flange. 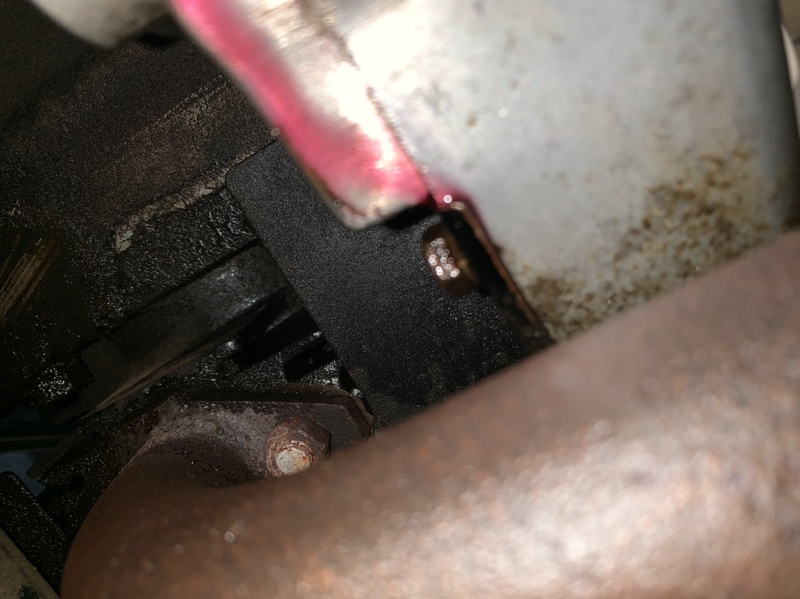 Almost looks like it’s coming from that bolt in the picture below and not the engine. The more likely scenario is that the engine isn't leaking at all. 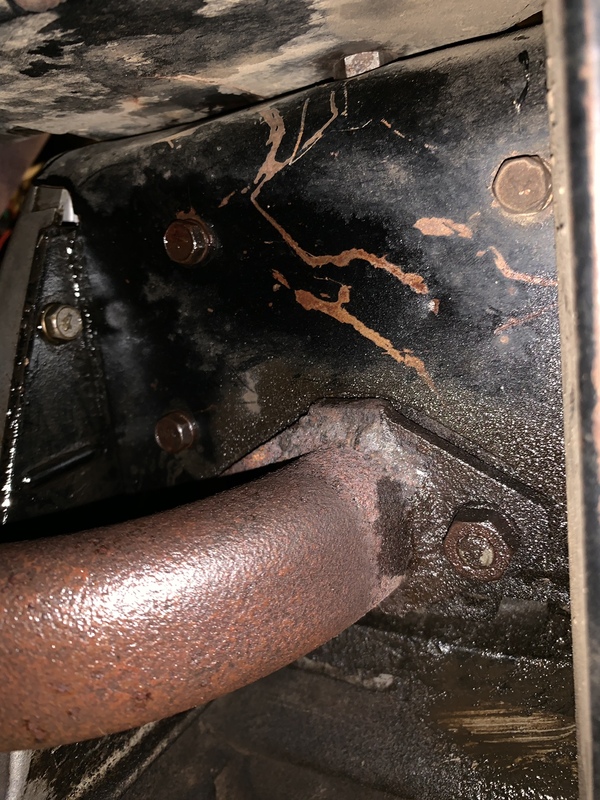 I would be more inclined to believe that the oil pump drive shaft seal is leaking. Oil would run down the shaft to the engine crankshaft, and flywheel. It would then drip out the bottom of the fan shroud. That would make more sense. When I bought the cart he had fuel/oil mixed in the tank and said it was because mechanic did it on accident after the rebuild...but it never leaked oil until I got it up and running and started using the oil pump. Looking through that manual trying to find out where to begin changing these. Do I have to yank the engine? I would definitely try to get all the extra fuel/gas out of the engine. It could ignite and blow out the crank seals. I still think your carb float is sticking dumping to much fuel into the engine, or like cartaround said it is pumping to much oil. I would remove the oil injection and premix the gas/ oil. Make sure you plug the hole in the intake. If is does not run right after you do this your crank seals may be shot and leaking air. 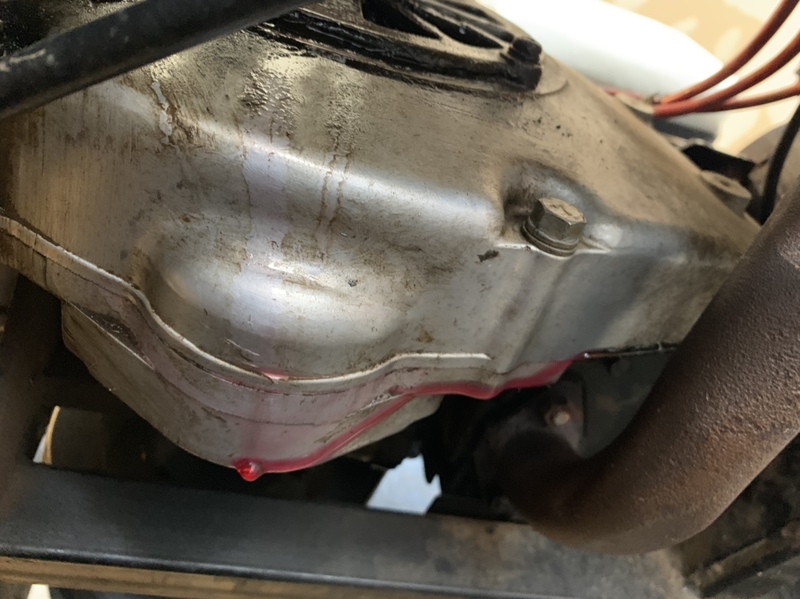 A good way to test if crank seals are leaking it with cart idling at steady speed spray starting fluid behind clutch and if the engine revs up at all the seals are shot. It looks like the leak is coming from this exhaust flank? What do you guys think from this pic? The bolts are the same red fluid up close and exhaust pipe is wet too. It’s like it’s traveling through the cracks and dripping along the motor..not entirely sure. That would be the best case. Now you just got to get it to stop leaking fuel/ oil. I think that oil is way too fresh looking to have gone through the engine. I really think it's all over the flywheel, and inside the fan shroud, and then dripping down on to the exhaust. If the engine was leaking that bad, it wouldn't run. The pump is mounted to a bracket on the fan shroud. The shaft is engaged in a straight slot in the end of the crankshaft. It should unbolt, and pull off.